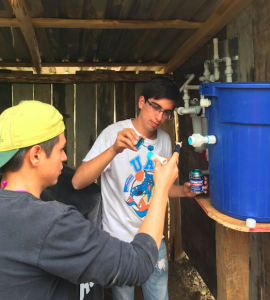 ACI and the University Autonomous of Querétaro (UAQ) have been working together for the past years to bring clean, arsenic-free water to the mountainous regions just outside the city of Querétaro de Santiago, Queretaro, Mexico. 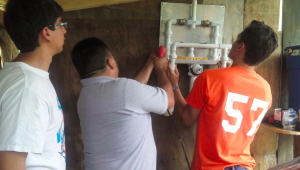 We partnered with the engineering department of the University on this project and worked with engineering students learning the technology and the implementation techniques of ACI. 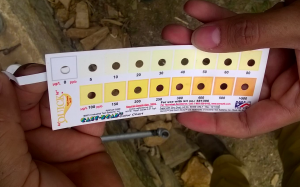 The beginning of this trip consisted of ACI President, Dr. Harry Knopke and Program Manager of Latin America, Jay VandenBrink, meeting in San Francisco de Rincon, Guanajuato, Mexico with a team of engineers trying to solve their arsenic and fluoride crisis as levels have been increasing in the wells around the area. 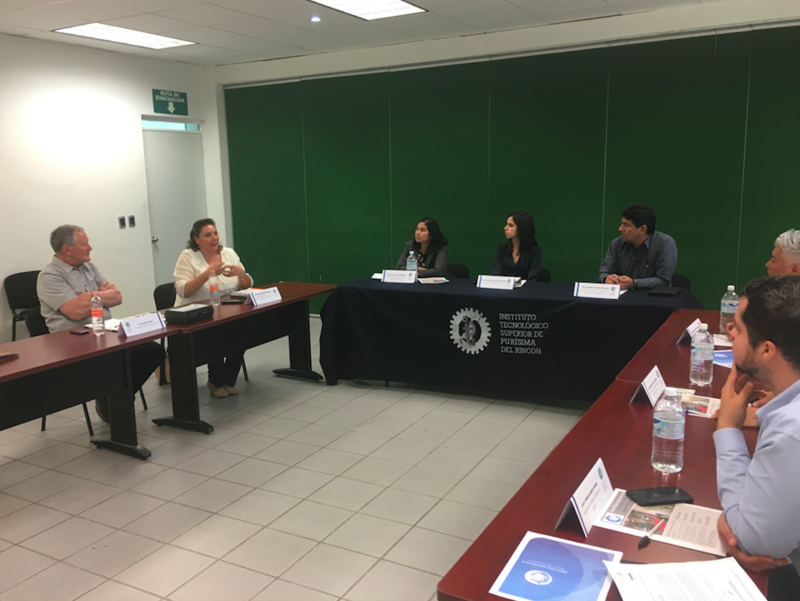 The meeting was held at a branch of the Technology Institute of Mexico, which has a new campus in the area. After this initial meeting, ACI and UAQ traveled to the Sierra Gordas mountainous region of the state of Queretaro, Mexico to meet with Jose Morado, the Sanitation Manager of the area, to construct two more ACI Arsenic Facility Filter with in a school in Sauz de Guadalupe, Querétaro and in a small highly elevated village San Isidro, Querétaro, Mexico. 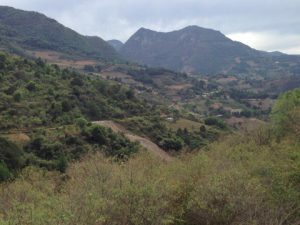 Other than a broken-down truck carrying our supplies through the many mountainous curves, it was a very successful trip. 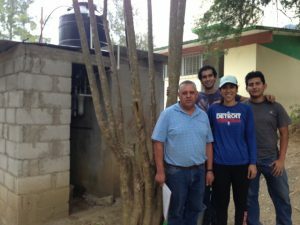 We have been privileged to be able to share our technology with UAQ and see them turn it into their own sustainable method of supplying potable arsenic-free water to the hard to reach areas of Mexico that have been dealing with such. UAQ Engineers having to fit five students in one truck (three in back) due to the breakdown of the second truck. 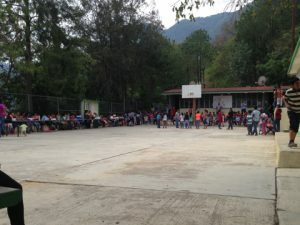 A school in Sauz de Guadalupe, Queretaro, Mexico which was one of two areas where ACI Arsenic Facility Filters were installed. 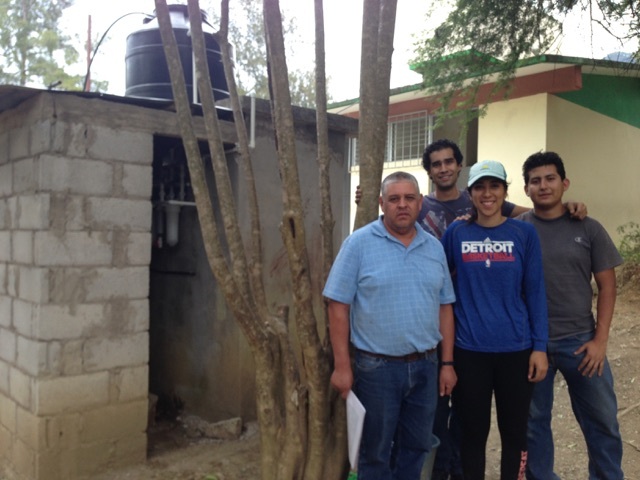 Jose Manual, Zaira Valverde, and Gustavo Olivan of UAQ with s local school administrator in Sauz de Guadalupe, Queretaro, Mexico. 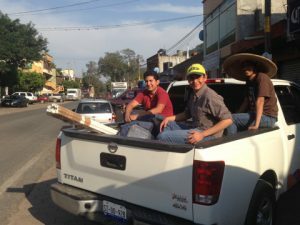 UAQ Engineering students, Luis Ricardo Sarabia Sanchez and Alejandro Felix Rubio learned how to install ACI technology high-up in the Sierras Gordas mountain range in west Querétaro state. Jay VandenBrink of ACI and the lead Sanitation Manager of the area, Jose Morado, mount the frame of an ACI Facility Filter on the wall of the just built water-kiosk supplying arsenic free water to 260 villager of San Isidro, Querétaro, Mexico. 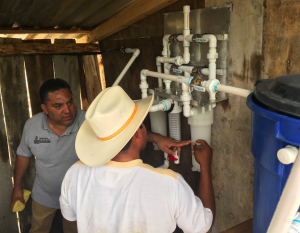 Jose Morado teaches local community leaders of San Isidro, Queretaro, Mexico on ACI Facility Filter maintenance. Part of ACI's promise is to show the locals that our filters do indeed work. We usually do this by having the first sips and showing them our post-installation arsenic tests which show 0-1 ppb arsenic levels post-filtration. 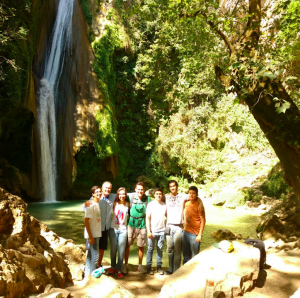 The way back brought the team close to one of the Sierra Gordas beautiful mountainous sites, the Chuveje waterfall.